Need to set up another one-time appointment with Tidy Casa? It’s easier than you might think! First, navigate to https://tidycasa.com/login/ and log in with your username and password. If you don’t have one, you should be able to create one via the link at the bottom of the confirmation emails we send you. Next, click the book now button on the first page. 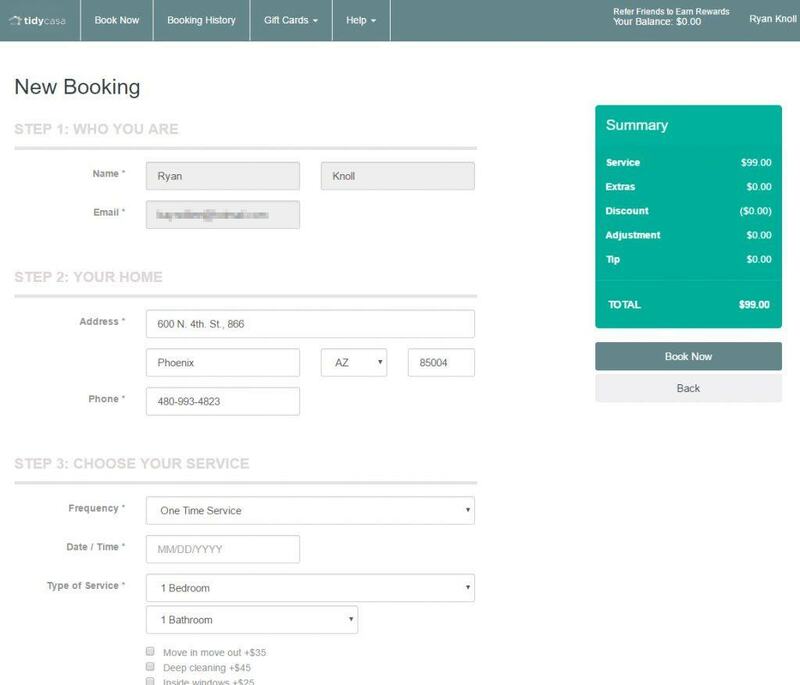 On the next screen, you’ll be able to enter the details for the appointment including date, time, address and type of service. Finally, select the “Book Now” button on the right-hand side of the screen. After the appointment has been made you’ll be taken to the booking history page where you can manage your upcoming appointments. As always feel free to give us a call with any questions of concerns. We’re here to help!